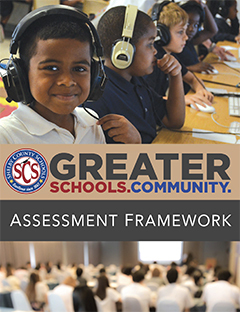 As part of the District’s continuous commitment to ensuring the best learning opportunities for every student in every school, Superintendent Hopson released a new Assessment Framework during the February 14 Board Work Session. The Assessment Framework will be used annually to provide the Board, as well as employees, parents and community partners, with a clear understanding of how the District makes recommendations for school improvement. After closing 28 schools in the last five years, we are now hitting the reset button on what has always been an incredibly difficult process for everyone involved. Over the past year, we have worked very hard to not only identify the factors that impact our ability to offer a high-quality education, but also to realign resources so we can be in a position to make meaningful investments that will improve achievement. Before taking any steps to close another school building, Superintendent Hopson wants to make sure schools have the time and targeted support needed for students and teachers in order to have a real chance to improve. As a result of the new Assessment Framework, a total of 19 "critical focus" schools, which you can view on this fact sheet, were selected to receive a tailored treatment plan based on their individual needs. Each of these schools was identified based on criteria within the framework, including academic performance, building quality/utilization, school climate/enrollment and neighborhood needs. In the weeks ahead, each critical focus school will be developing an action plan for the 2017-18 school year. Using clearly defined benchmarks, progress will be monitored annually to determine if schools are making the necessary improvements. Potential investments for these schools may include HR support to incentivize effective teachers to remain on staff or fill hard-to-staff positions, funds for strategic recruitment plans to increase enrollment, increased instructional time, similar to the iZone model, and/or construction of new facilities or improvement of high-priority facilities needs. This comprehensive report outlines the Assessment Framework and its criteria, along with a summary of the community engagement process conducted during the fall. That process spotlighted what parents, educators and students believe to be the most important elements of a high-quality education and helped inform some of the treatment plans we've already developed for several critical focus schools. Looking forward, families and partners in each of the identified critical focus school communities will be counted on to support the implementation of the treatment plans. There will also be plenty of opportunities for input along the way. During the November 29 Board Work Session, Superintendent Hopson presented his proposal to transform communities and improve learning conditions for students with new school construction projects and school consolidations. The plans are a first phase in the District’s aggressive and ongoing efforts to address quality, efficiency and equity for students and communities. The initial set of recommendations addresses multiple outdated facilities that are among the District’s worst in terms of deferred maintenance costs. 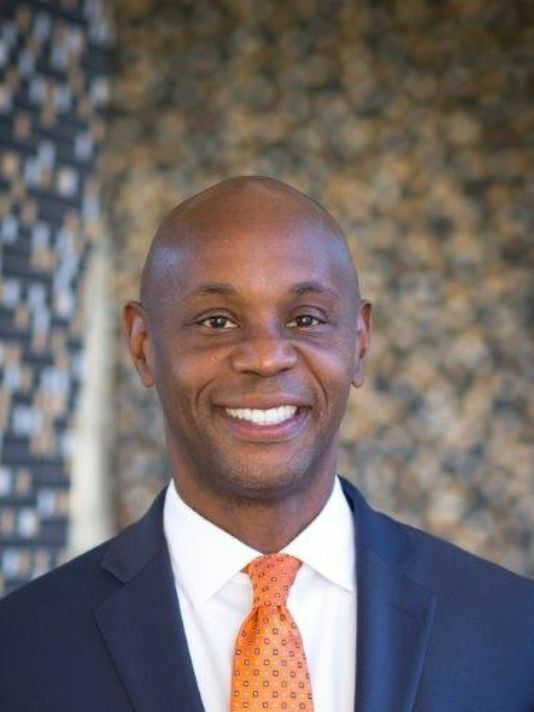 Superintendent Hopson stated the importance of taking immediate action, explaining that the upkeep of outdated facilities is restricting the District's ability to make investments in effective academic strategies, programs and services. Here is the full presentation from the Board Work Session. The School Board is not expected to vote until early 2017. However, unlike previous years, when these types of considerations were addressed in the spring, working toward decisions early in the school year allows more time to meet with families and staff from all of the impacted schools. This timeline also precedes the upcoming Optional Schools and Choice Transfer application processes, so parents will have equal opportunities to explore additional options if they choose. Later this month, a report summarizing all of the feedback gathered during the "Greater Schools. Greater Community." engagement tour in October and November will be released and used to guide academic support plans for impacted schools. View the published editorial here. There is a national conversation around equity and how it relates to student achievement. When I think of equity, a myriad of things come to mind, many of which our community never discusses. At a minimum, we should agree that equity means all kids, regardless of their zip code, have an opportunity to be taught by effective teachers in environments conducive to learning. We spend lots of time discussing strategies to recruit and retain effective teachers - particularly for our struggling schools - but we do not discuss the drastic differences related to our facilities inequity. This week, I proposed a transformative plan that invests in our students in an efficient and equitable way. While there are many other decisions to be made to ensure every child has a high quality school experience in our community, the consolidation conversation sets forth immediate steps we can take to begin to address quality, efficiency and equity. The overwhelming majority of our most impoverished kids attend schools in outdated and, in some cases, severely neglected facilities. Many of our schools were built in the 1950s and are in desperate need of upgrades and repairs. Although our community is well aware of these issues and the $476MM needed to fix these problems, public entities have not made investments to enhance the standard of living in some areas. Instead, most the investments have been made in suburban and more affluent neighborhoods to accommodate population shifts. As a result, more affluent families attending public school in Shelby County are more likely to attend schools in updated facilities that are more conducive to learning. The problem of outdated inner-city facilities is exacerbated by the fact that we have more than 25,000 empty seats in our schools, causing them to be severely underutilized. This creates an opportunity and a mandate for SCS to be more efficient by consolidating schools. Since these conditions are undoubtedly unproductive and not conducive to student achievement, their continued operation is unfair to students and taxpayers. It’s nearly impossible for our district to maintain outdated buildings while at the same time investing in effective academic strategies, employee compensation, the latest technology, a variety of after-school and summer programs, innovative partnerships and other much needed things. This is why SCS has closed more than 20 facilities over the last few years. However, we have learned that simply closing outdated and under-enrolled facilities, which oftentimes decimates already fragile neighborhoods and sends poor kids to other outdated facilities, does little to improve student achievement. But we must continue to have courageous conversations about ensuring resources are distributed in an equitable and efficient way across our district. In support of the principle, I believe that, in addition to closing schools, we should also take the bold step of investing in facilities and resources - especially where it’s needed the most, so that every child, regardless of zip code, also has an opportunity to be in the best learning environment possible. We have seen this approach work very successfully at Westhaven Elementary. There, we combined three schools and invested additional dollars to support the academic needs of our students. Two years ago, children in all three schools attended chronically under-performing schools in substandard facilities. Today, they have highly effective teachers in a learning environment that gives them a better chance to be productive citizens. By combining those schools, educational opportunities increased and the communities were stabilized and strengthened. This is the rationale behind our most recent consolidations conversation. We identified immediate opportunities to be more efficient while improving the learning environments for some of our most fragile students. Our goals are to be more efficient, send kids to stable, better performing schools and eliminate some of the deferred maintenance costs that we inherited so we can reach Destination 2025. During the next few weeks, we will release the report of our first round of community input workshops about school quality so we can continue to develop a strong academic plan that addresses the needs of all of our students. I believe that, by investing in our schools, we are investing in our neighborhoods and ultimately creating a better Shelby County for us to live, work and enjoy. Greater Schools make a greater community!